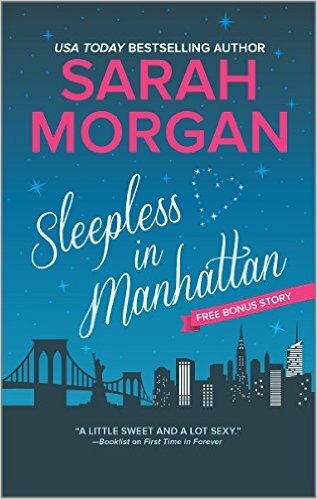 I really fell in love with the characters in Sleepless in Manhattan. Each one had their own unique personality, like pigheaded, headstrong Paige, who would rather do anything else than have to admit she needs help, or worse, ask for it. Eva is happy go lucky, finding the silver lining in nearly every situation, while Frankie is the quintessential realist, never wanting to find herself indebted to anyone, especially not a man. There is a lot of focus on the relationship between Paige and Jake, the bad boy with the good heart, but paralleling that relationship is the one between the three women. A strong friendship, which was very complimentary to the story. I enjoyed the hot and cold currents flowing between Paige and Jake. He’s someone Paige has known for many years, a man who she’d once proclaimed her love to, only to have him break her heart. If she could understand why he reacted the way he had, the purpose behind the wall he builds up between them, maybe that would change her mind. Maybe that would prevent the chemistry that is unmistakable. There were moments of surprise, scenes I hadn’t anticipated. "Sleepless" built me up, and there was no let down, let me tell you. I was enraptured and detained by every detail, unable to put it down. I didn't want it to end, not until I knew where the road would lead for Paige, her friends, and Jake, too. Given how much I loved this book, I’m looking forward to reading the other two in the "From Manhattan with Love" series: Sunset in Central Park, and Miracle on 5th Avenue. 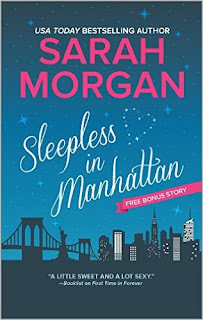 Thanks to TLC Book Tours for the book in exchange for an honest review, as well as for including us on Sarah Morgan's blog tour. (We're one of the blogs helping to kick it off!) See the other stops here. We are so glad you enjoyed it! Thanks so much for being on the tour!